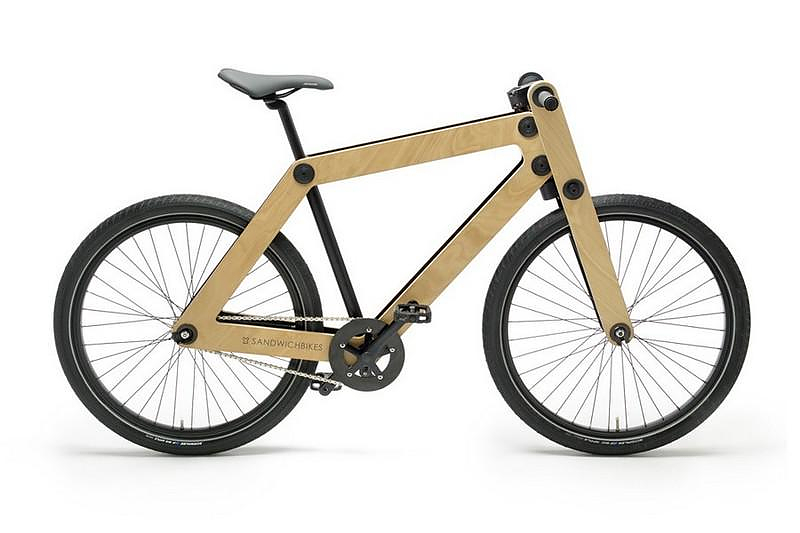 HomeBlogVariousSandwichbike Flat-Packed Wooden Bike by Basten Leijh. 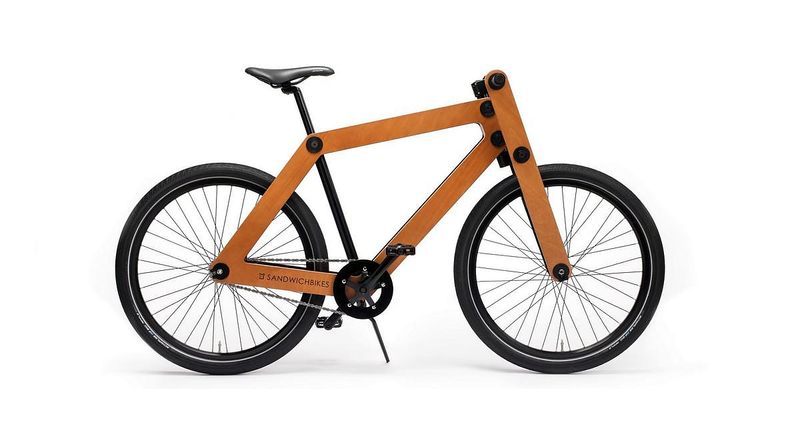 Sandwichbike Flat-Packed Wooden Bike by Basten Leijh. 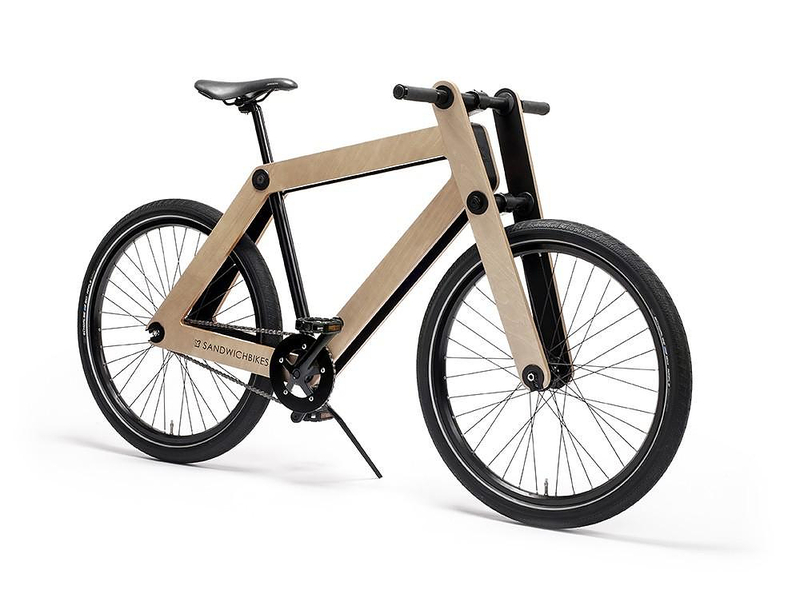 The Sandwichbike is an innovative Wooden Bike designed by Dutch designer Basten Leijh, it can be Flat-Packed for easy transportation and is ecologically sustainable. 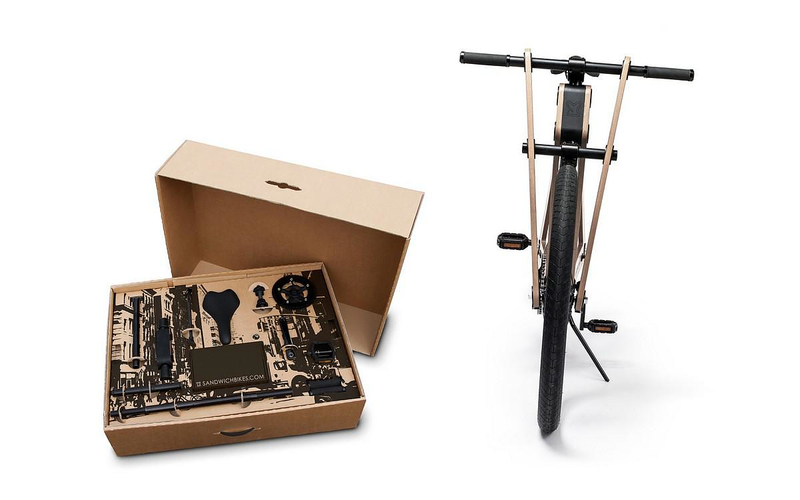 This unique wooden bike is shipped in a compact cardboard box and can be easily assembled in under an hour. 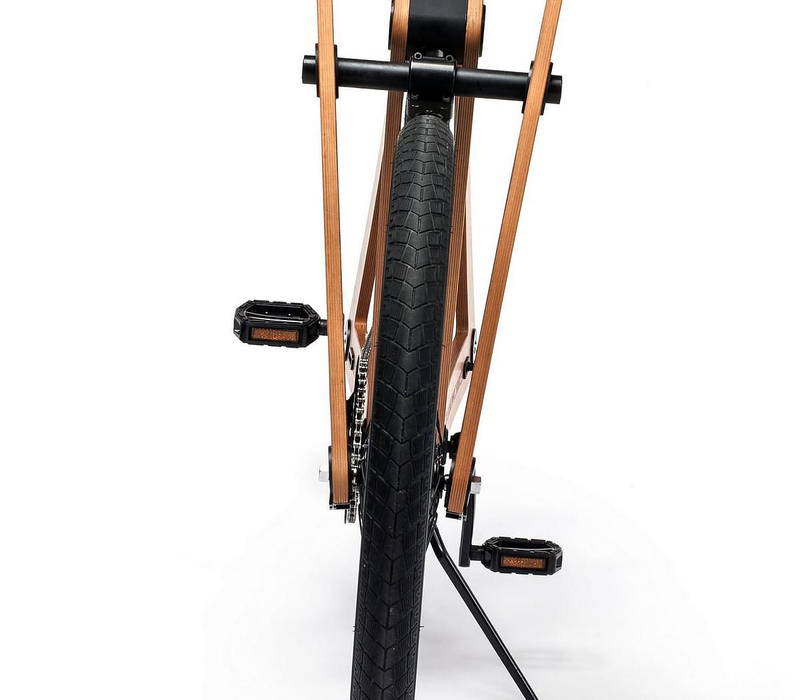 The Sandwichbike concept began in 2006 when Bleijh industrial design studio entered the International Bicycle Design Competition in Taiwan. 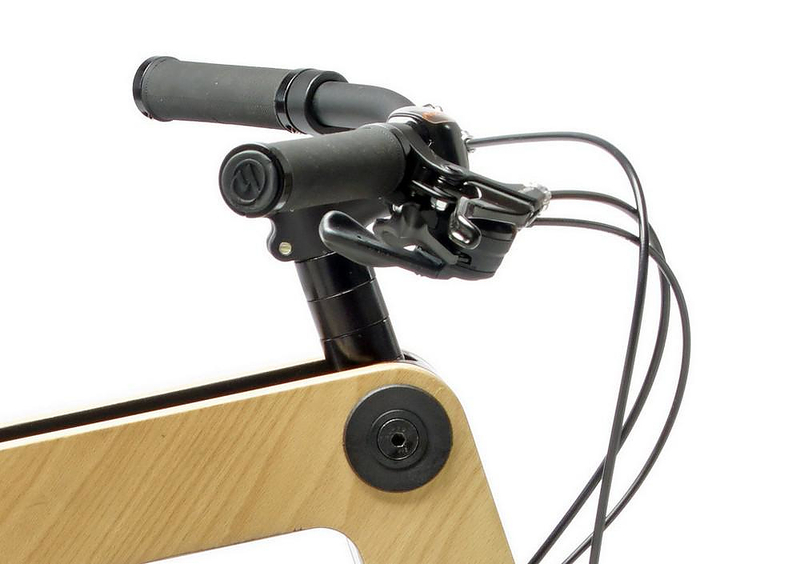 Bleijh’s aim was to create a bicycle that re-examined materials, manufacturing and distribution of the common bike. 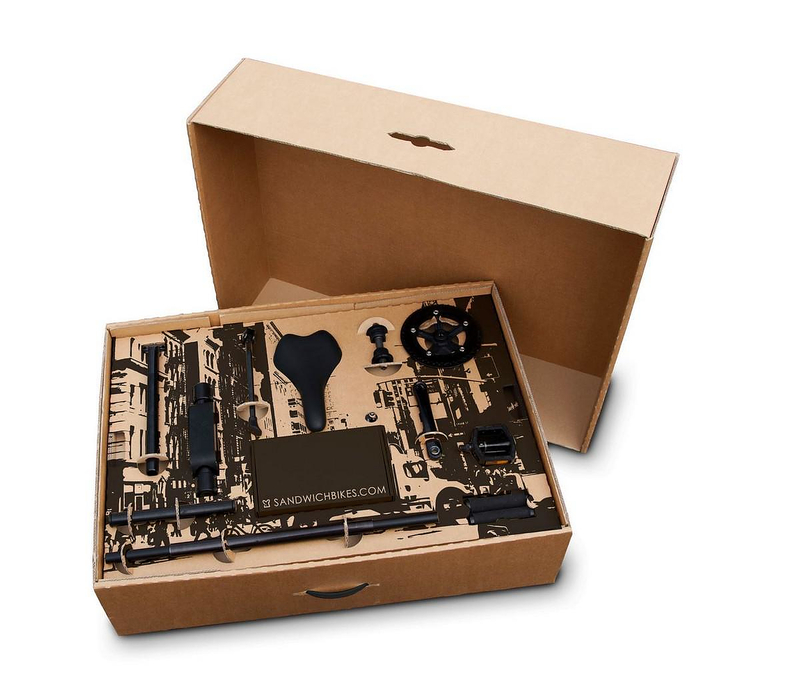 The designer’s stimulus came from the world of furniture and the advantages of Flat-Packing. 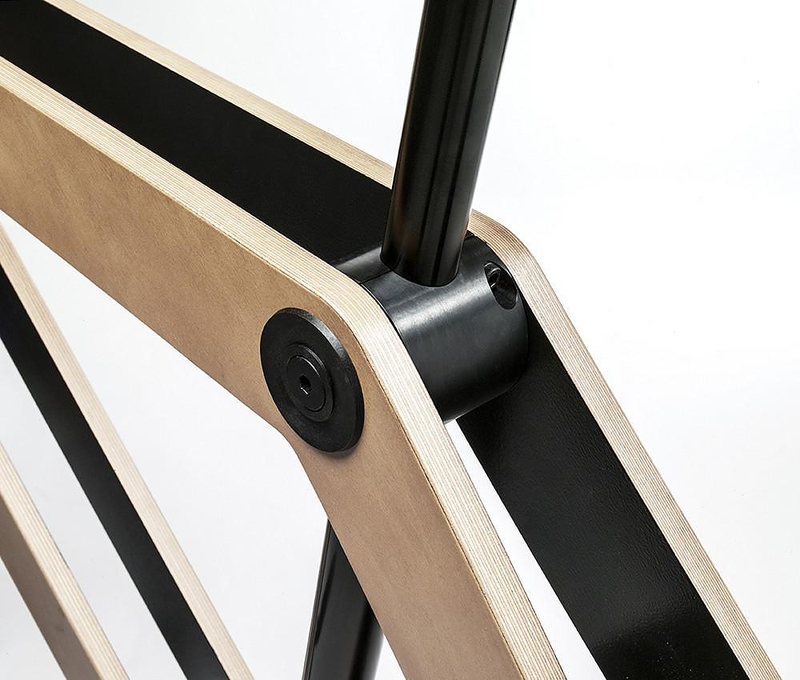 Flat-Packing has spread its proverbial wings and flown to all corners of the globe, thanks largely to a certain Swedish furniture company. It’s said that Erie J. Sauder invented flat-packed furniture in 1951, but it wasn’t until 1956, when draftsman Gillis Lundgren faced a transportation dilemma, that the method really took off. 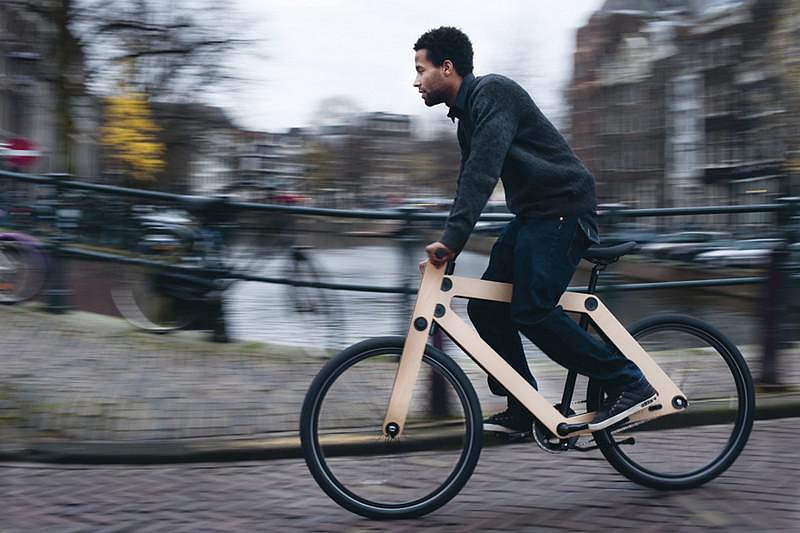 Inspired by the concept of Flat-Packing and home assembly, Basten Leijh of Bleijh, together with Pieter Janssen, designed a bike made out of two wooden plates. After the competition it wes evident that everyone else loved the design as much as Bleijh did, as Sandwichbike won the fifth place in the competition. 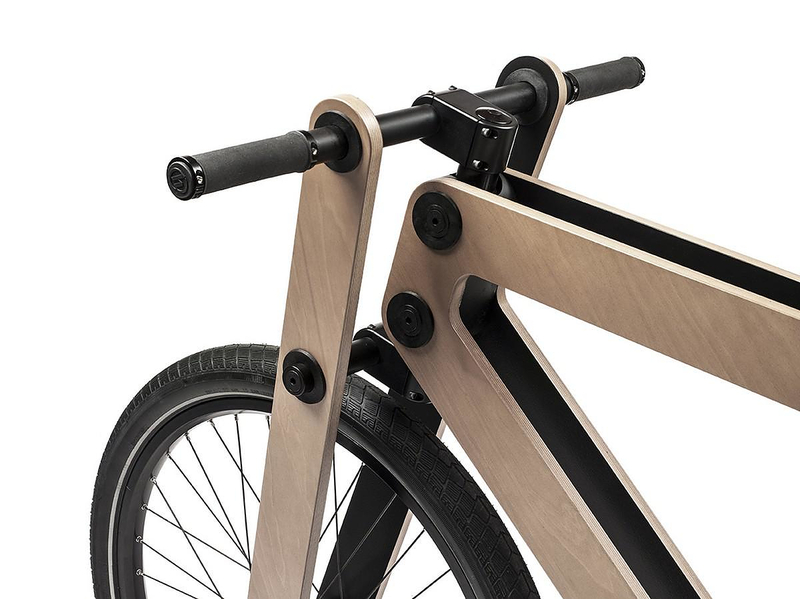 After this initial success the designed made a full-size version of the winning 1:3-scale bike they submitted to the competition and exhibited it in Milan. 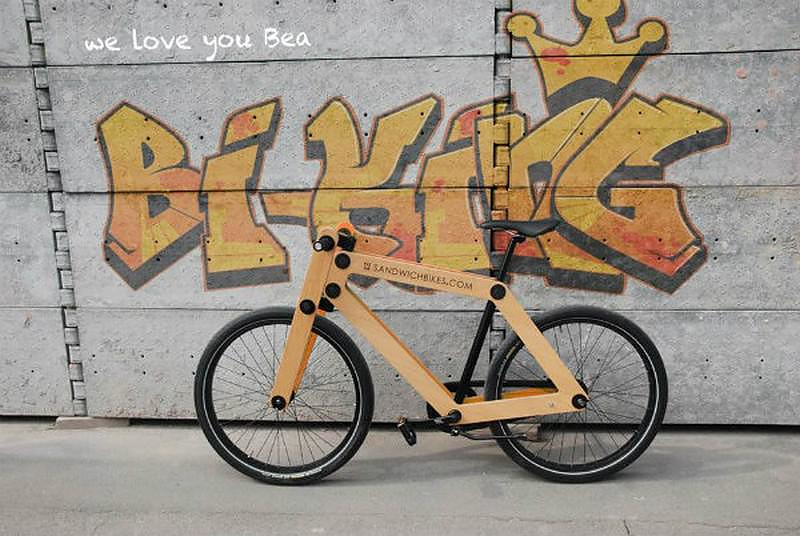 While positive hype was just what they were looking for, Bleijh also had to deal with what is surely many designers’ worst fear: “The prototype was stolen at the exhibition.” A new prototype was made along with improvements to the original design and finally the Sandwichbike earned its moment in the sun in 2010. 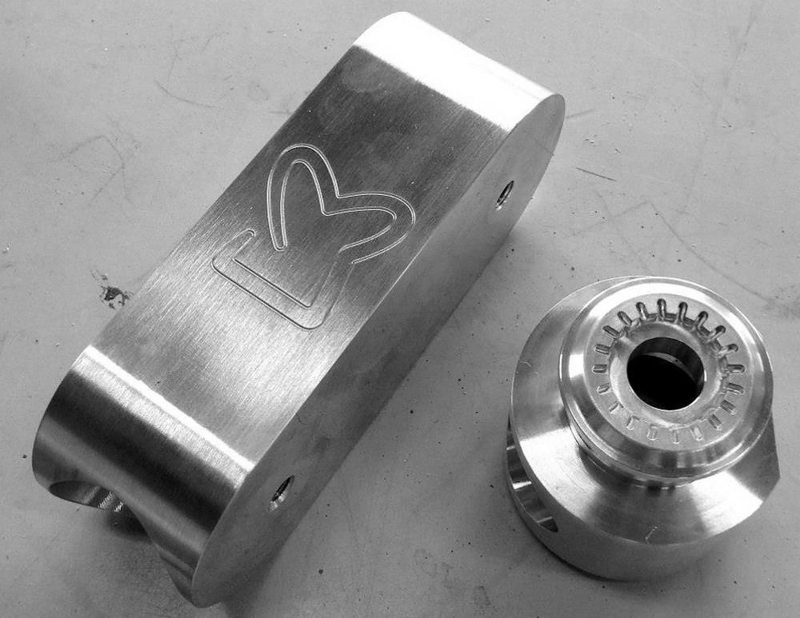 The buzz around the concept d held strong, motivating the team to finalize the idea and make the Sandwichbike available for purchase. 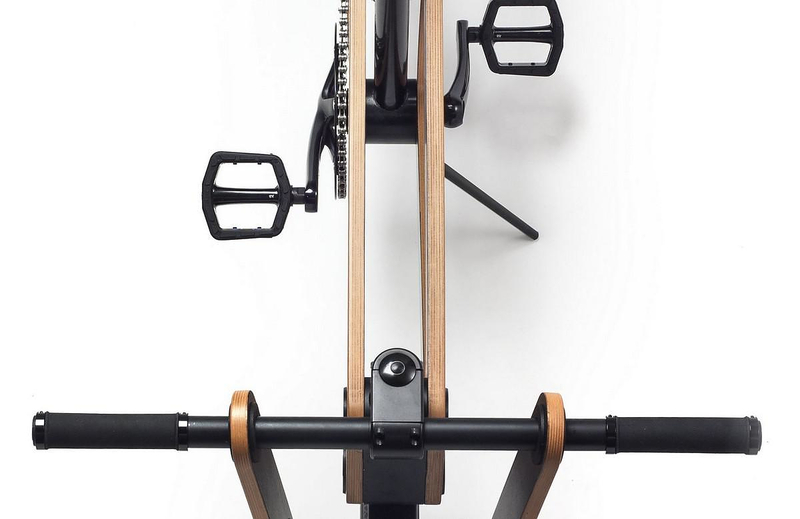 Apart from the obvious advantages flat packing has for shipment, the use of two wooden plates gives freedom of printing and cutting techniques, making it possible to give each bicycle its own unique identity. 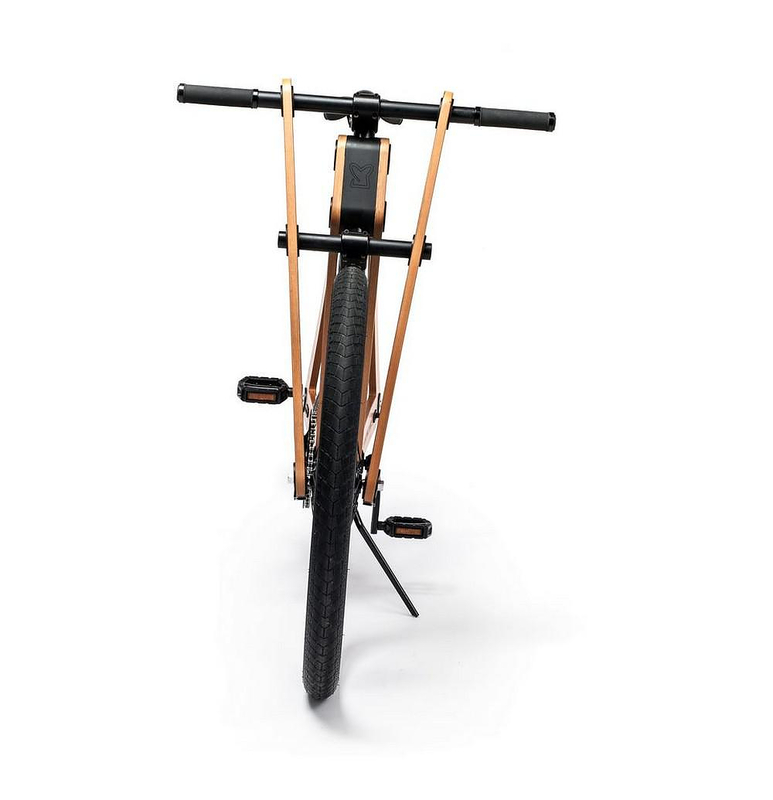 The aesthetic of the bike is intriguing, its design is radically different from the typical tubular steel bikes frames we are used to seeing. 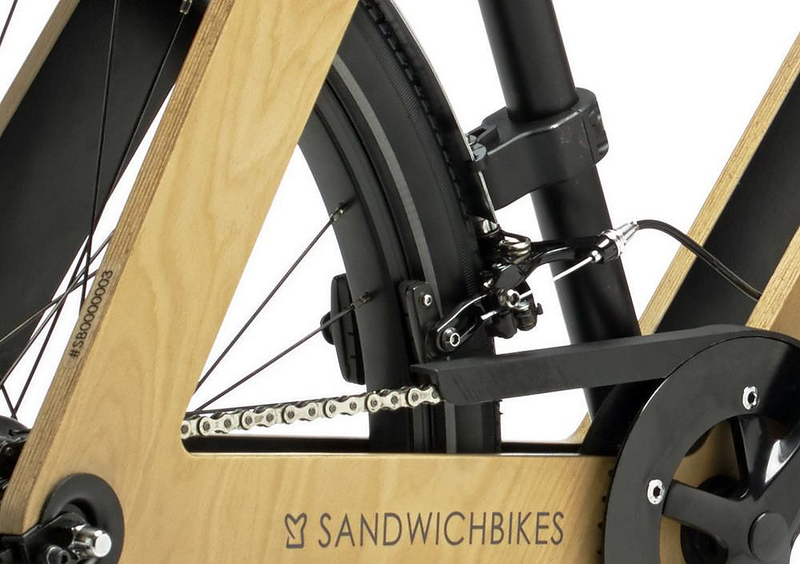 Moreover, apart from offering a profoundly different look, the Sandwichbike nicely captures the principle of self-involvement that lies at the heart of cycling: “Assembling your own Sandwichbike will wake up the craftsman in you,” says the team. 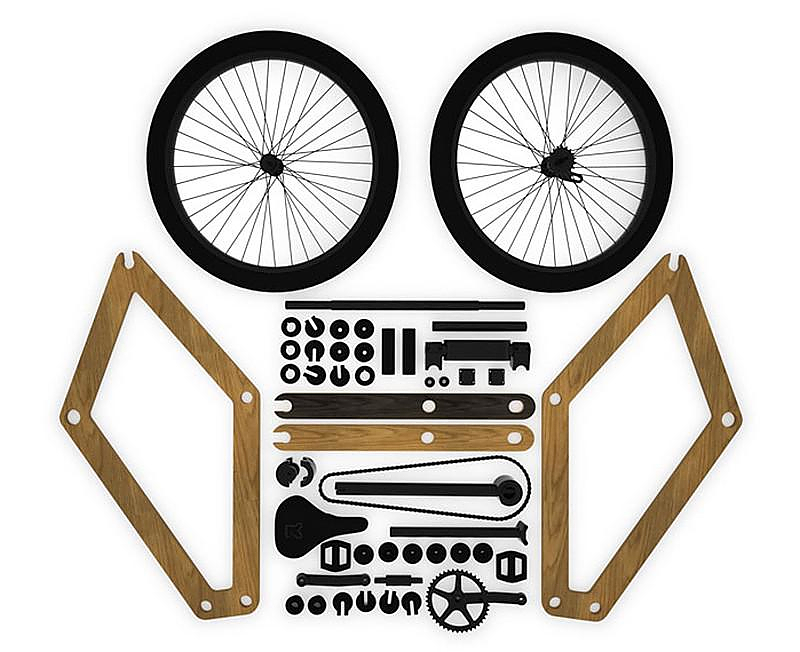 “You’ll learn bike basics when it comes to assembling and how take care of your self-assembled bike.” Because there is nothing a cyclist enjoys more than digging in and learning just what makes their bike tick. 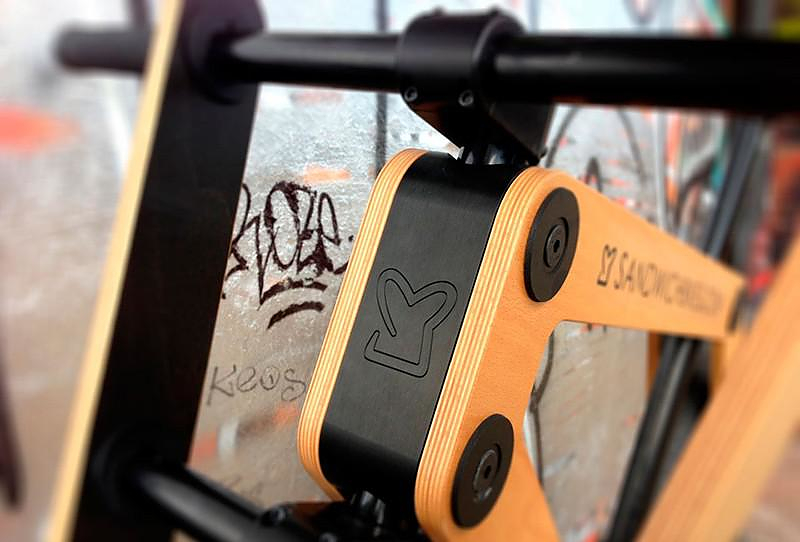 Every part of the Sandwichbike is designed solely for this bike and manufactured with great care for the product as well as the environment. 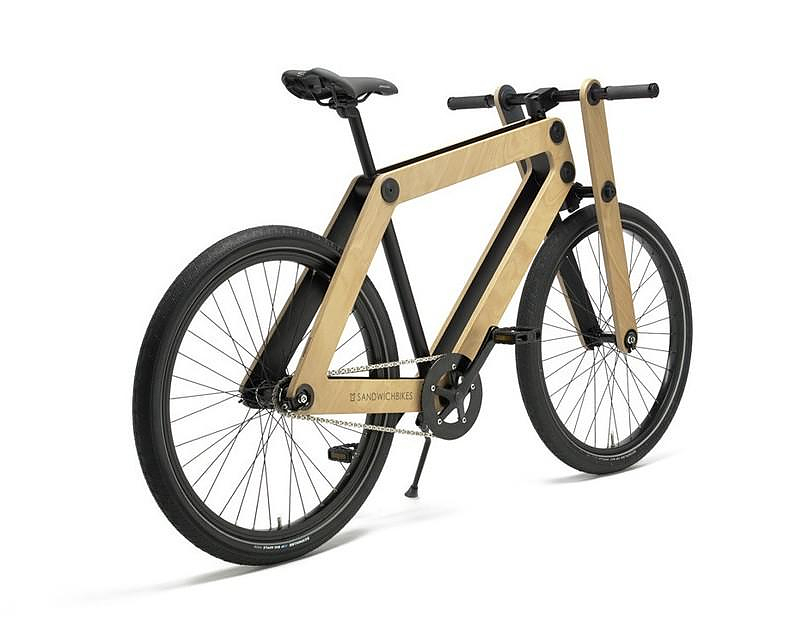 The wood used for the Sandwichbike is beech plywood. Harvested in Germany, near a small town called Brakel to be exact. 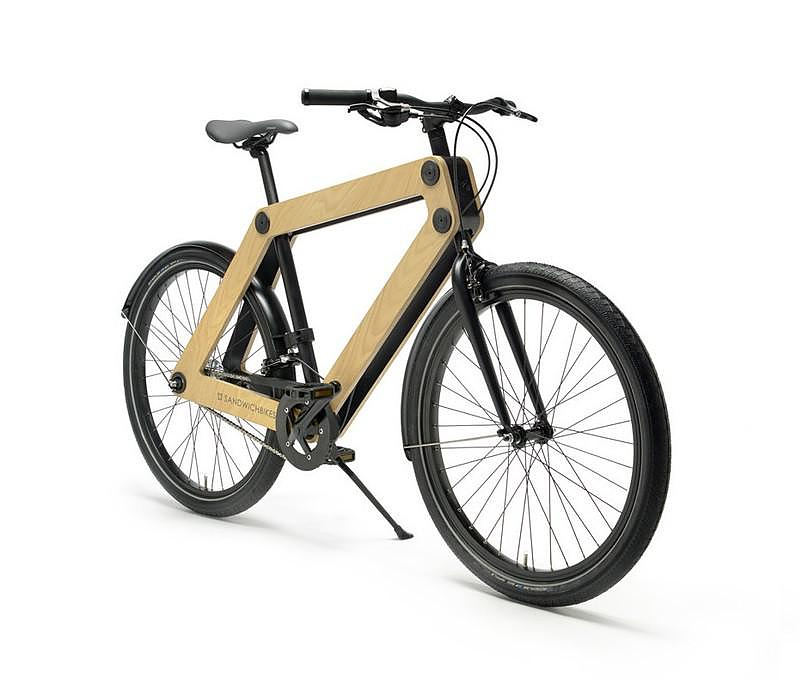 The factory producing the plywood is established right there, so there is no need to drag trees all across the continent to get the Sandwichbike its frame. 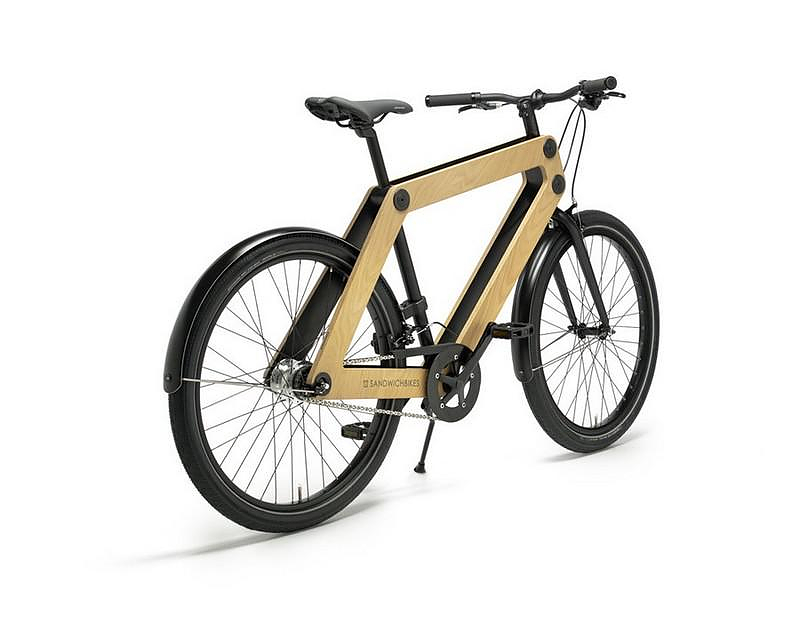 A new Sandwichbike comes from mature wood, since the beech trees are harvested from the age of about 120 years. The forest they come from has been sustainably managed for more than 200 years, meaning no more wood is harvested than can be regrown again. 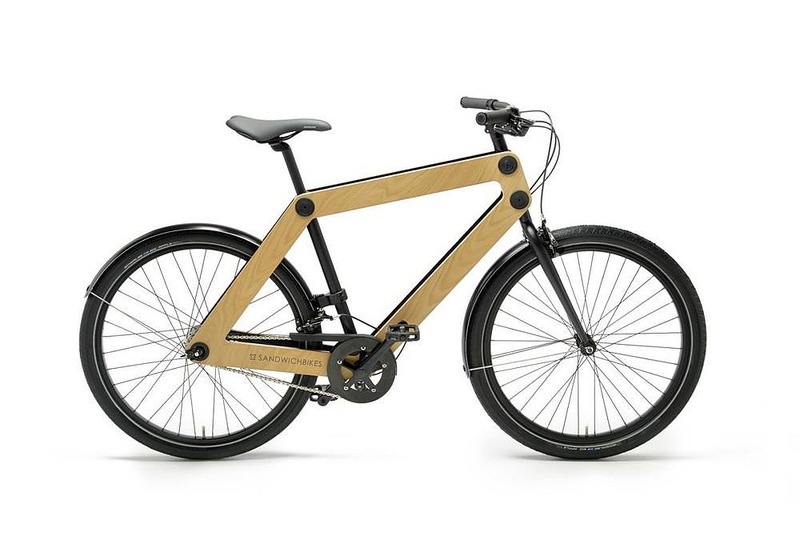 This gains our plywood a PEFC certification. 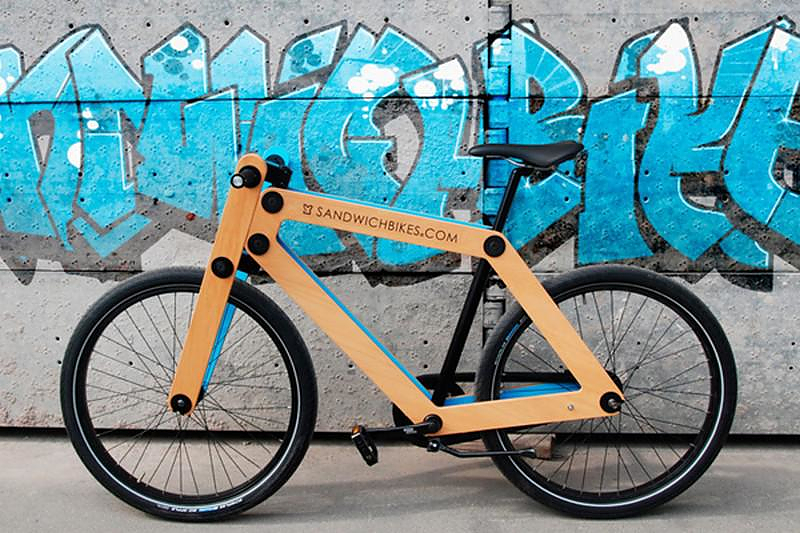 At present, 4 years after its commercial launch the Sandwichbike is a solid, mature product. 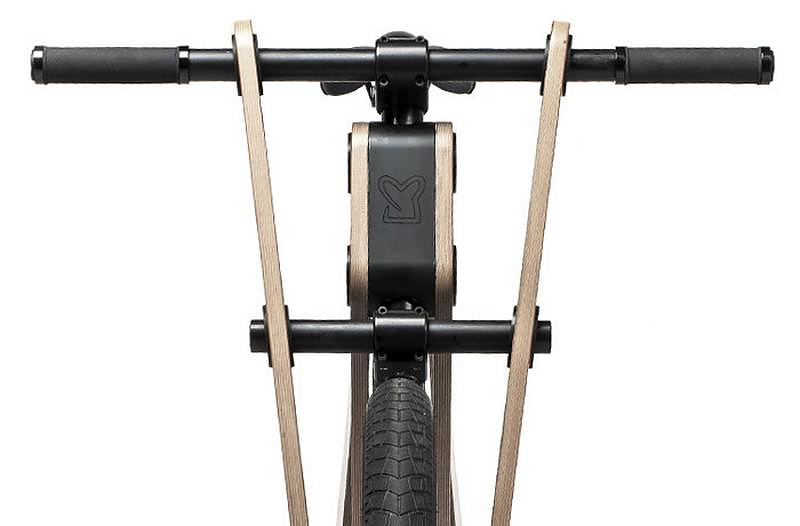 Now there is even a range of different models available. 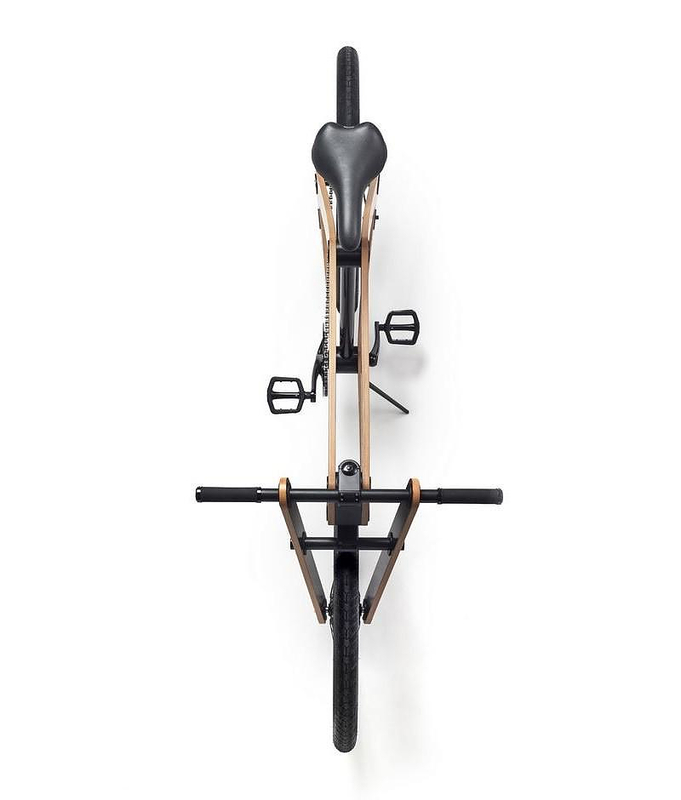 You can get your trendy urban cycler with the original wooden fork, or with a steel front fork that straightens your riding position. 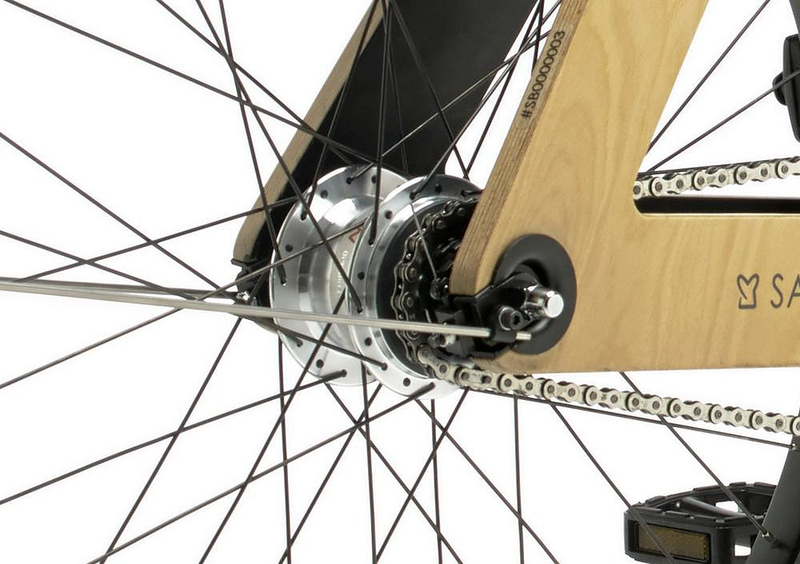 Also, you can get the “two gears” option to help you smoothen your ride when hills or bridges cross your way. 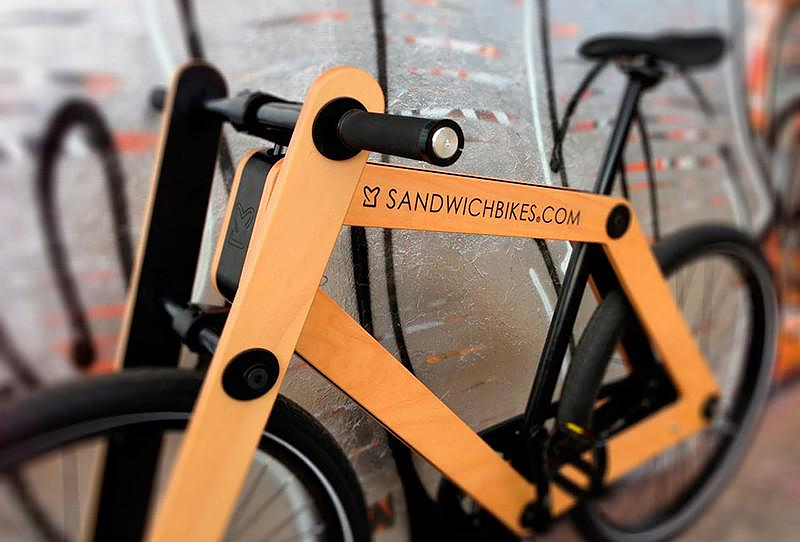 Finally, you can even customize your own Sandwichbike online by in the Sandwichbike Website, upload your logo, select your color and assemble your own unique collectors item! 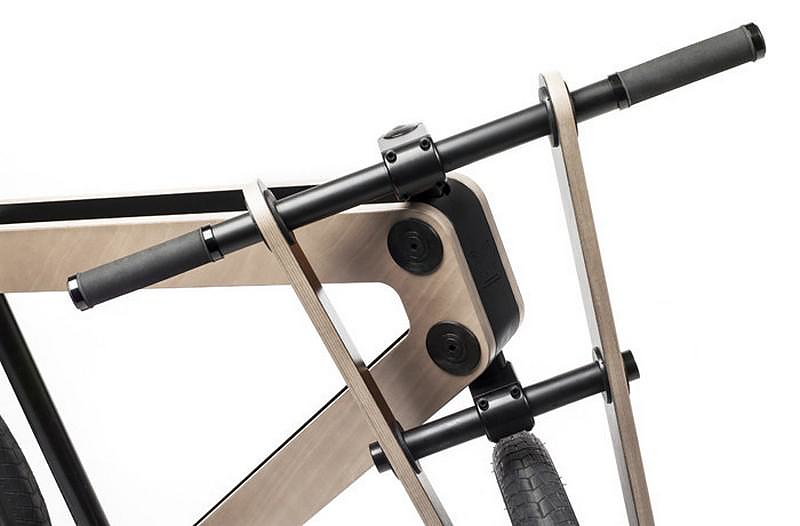 Recycled bike tubes become fashionable belts.